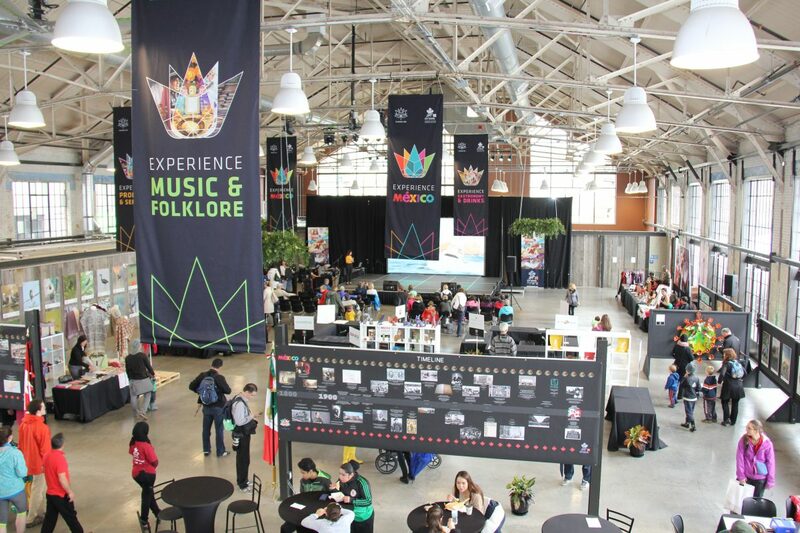 Ottawa Trade Show Printing | Graphics, Displays, Popups, etc. From conferences and special events to trade shows, a great display or banner has one important function: to help you get noticed. So if you are looking to create a captivating presence, make sure you talk to Ottawa’s trade show experts: BOSS Image. Here are some of the ways we can help. Our pop-up portable graphic stands are a popular choice for freestanding booth spaces for conferences, exhibits and trade shows. Pop-up displays are compact, easy to transport and set up. 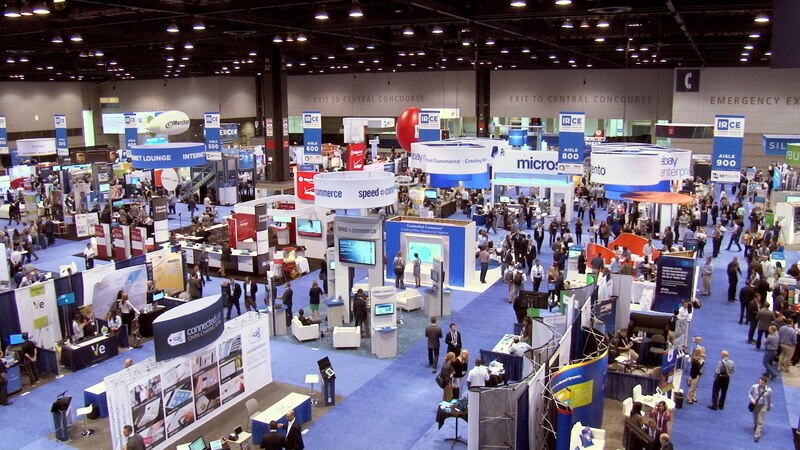 They create an effective self-contained backdrop to your exhibition area even when you’re in a totally open space. They can also be combined into various configurations for much larger display spaces, and their travel container can even double as a counter when you need it! We can produce, print, mount and laminate the display panels with a wide selection of materials, including film, foils, plastic and fabric. And if you’re looking to be really original, or just have very unique requirements, we also offer custom shapes and styles—even custom travel cases. Ensuring the image on tension fabric exhibits display correctly when stretched requires a blend of science and art. This is where skill and experience play a major role, and that’s why you can count on BOSS Image to get it right! This is one of the most versatile of displays, with a multitude of possible shapes and forms. 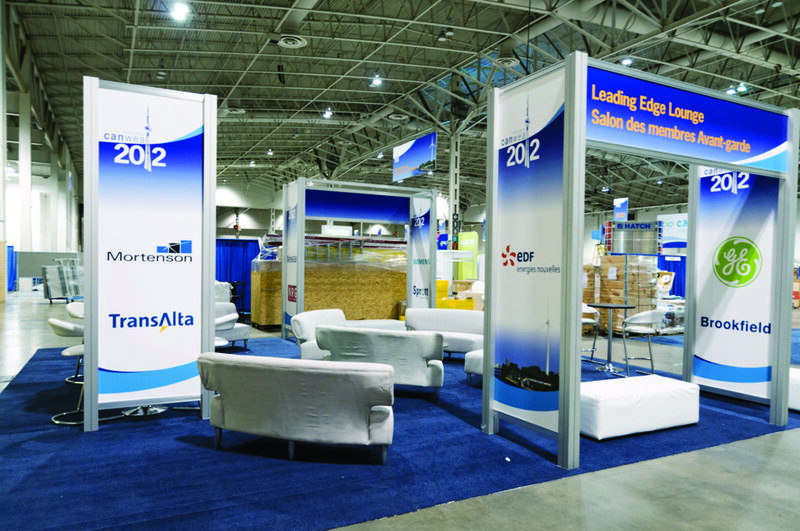 These tall vertical banners add a complementary visual element to your booth or event display. We offer them in over 20 different types of styles (see brochure). Our banner stands are printed in-house at our Ottawa print shop on a durable polyester film with a matte, scuff-resistant lamination. This ensures the image stays clean and crisp—even after repeated unwinding and retracting. 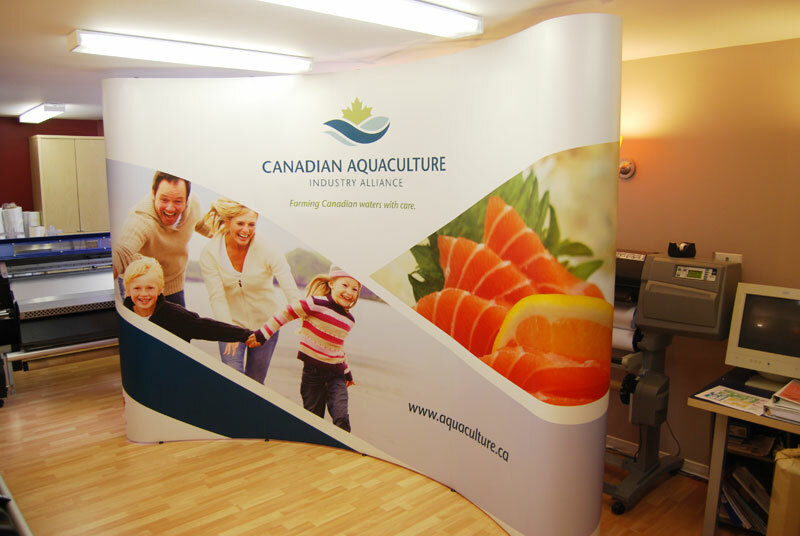 Banner stands are very portable and serve a variety of functions, whether you take them on the road to a trade show, or use them to add visual impact in a waiting room or lobby. Similar to a portable movie screen or window shade, roll-up banners have a recoil mechanism that allows the banner to be rewound into the casing for easy and protected travel. Stand up. Stand out. Be seen. If you want to make sure you stand out from the crowd, make sure you talk to BOSS Image. Why not email us now or give us a call at 613‑715-4607 and let BOSS Image help you get noticed. 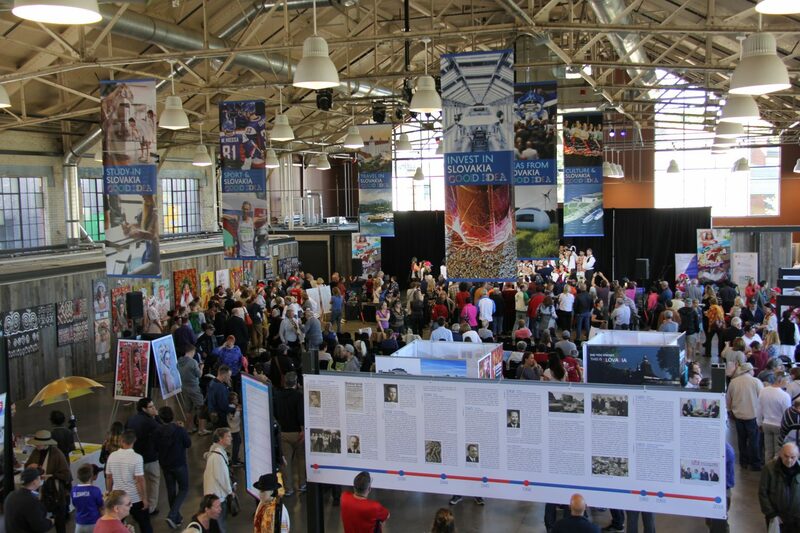 View our 2018 brochure to see some of many exhibit and display options we offer.